Served with pickle & potato chips. 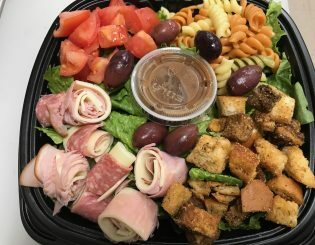 $8.50 – Romaine, salami, ham, provolone, olives, tomatoes, pasta & homemade croutons. 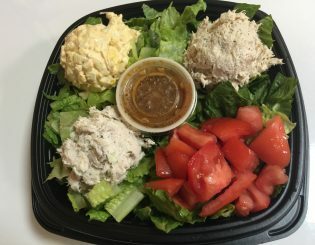 $8.50 – One scoop of chicken salad, tuna salad, & egg salad with tomato slices on a bed of lettuce. 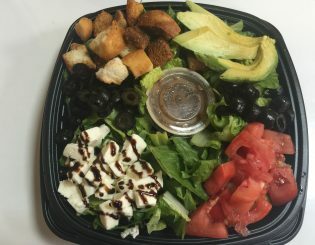 Suggested dressing: Golden Italian or ranch. 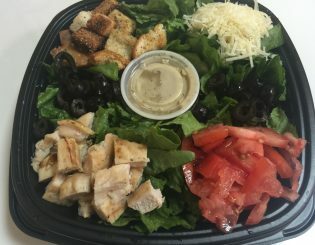 *Pecan cranberry chicken salad $.50 extra per scoop. $7.95 – Grilled chicken breast with cheddar, romaine, tomato & buffalo sauce on a wrap. 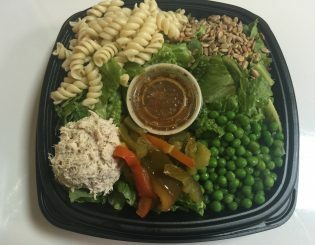 $7.95 – Romaine, tuna salad, pasta, sweet peppers, peas & sunflower seeds. 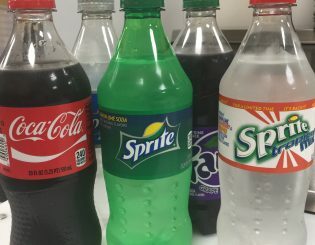 Suggested dressing: Sun-dried tomato vinaigrette or golden Italian. 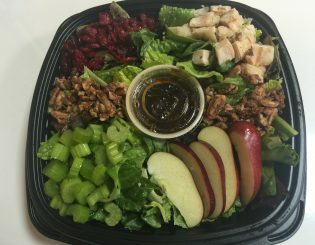 8.50 – Lettuce blend, grilled chicken, apples, cranberries, celery & glazed pecans. 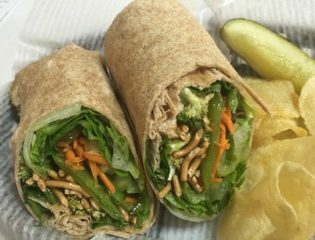 Suggested dressing: Sesame Asian, honey raspberry vinaigrette or blue cheese. 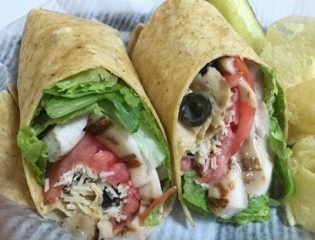 $8.50 – Grilled chicken, lettuce, tomatoes, parmesan & black olives with Caesar dressing stuffed in a tomato tortilla.